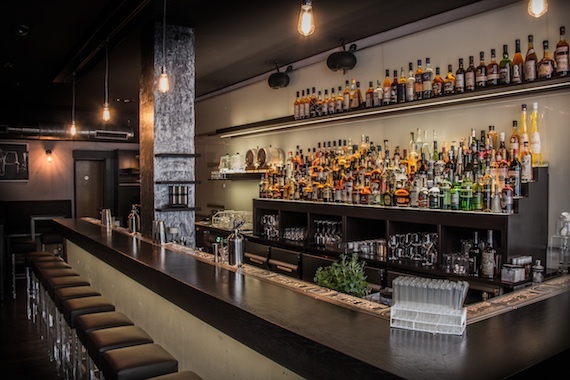 World's 50 Best Bars editor, Hamish Smith, picks out three of the most important bar openings of the month gone. This time out Cologne, Paris and London are the cities to visit. Happiness Forgets couldn’t contain Ali Burgess forever. Opening softly last month was Original Sin, another London den of delectable drinks, this time on Stoke Newington High Street. Here beer is as likely to be the punter’s poison as a mixed drink and the free pool table leaves you in no doubt that this is a place with an easy vibe. Burgess told DI the team was “trying to give the people of Stoke Newington a great excuse not to travel into town for great drinks”. The menu is economical with options – five Highballs, 10 cocktails, eight bottled beers, four red and four white wines – but not so with space. It is much larger than the World’s 50 Best Bars regular Happiness Forgets. This out-of town bar offers out-of-town prices, with cocktails set at £8 and Highballs a nugget less. Stephan Hinz, one of Germany’s top bartenders and author of Cocktailkunst, has opened his own haunt in Cologne. Little Link is a cocktail lounge where you’re as likely to be served salmon-gin, parmesan or eucalyptus as anything remotely resembling a normal drink. 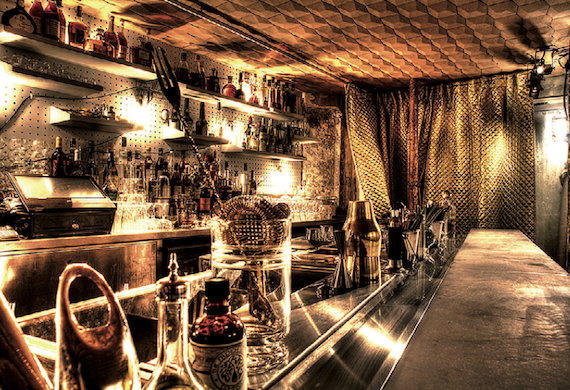 Supplying the bar with crazy concoctions is Hinz’s laboratory – an adjoining room of molecular tomfoolery. The ex-Hilton and Harry’s New York bartender named Little Link after the bar’s connection between the themes of “young and old, classy and relaxed, guest and bartender” but also the symbiosis between the bar and kitchen. 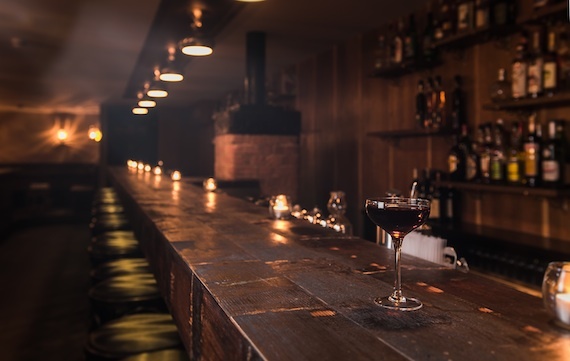 Hinz spoke to DI about the new bar: “I hope Little Link will contribute to the international evolution of the modern bar. We want to go one step further in the blending of drinks and food and we want to show that it’s possible to serve a new kind of drinks created with unusual ingredients and equipment in daily routine.” Hinz assures us classic drinks are also available. We’re not sure we believe him. This place is where grandpa spirits go gangster. Le Syndicat is all about old French spirits that have been lost to time and fashion, dusted down and served up in a contemporary setting. You’d call it a modern speakeasy – hidden as it is off a high street in a space that used to be used to sell mobile phones. Sullivan Doh and Romain Le Mouellic feel there are great terroir-led products that don’t get enough attention – spirits from Corsica, brandies from Alsace, the eau de vie de poire William, Marc de Bourgogne and even single malts from Brittany. Drink them straight or in the five Syndicat cocktails, but either way just drink these forgotten favourites of yore. Doh hopes the bar will help to “change” the perception that these spirits amount to “grandpa-alcohol”.